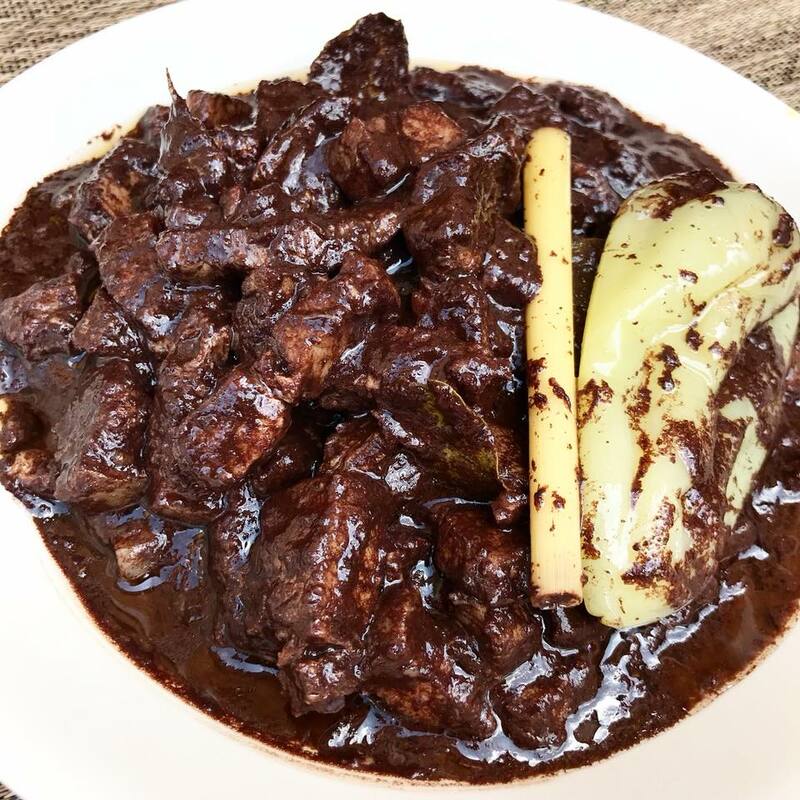 Here is a simple step by step on how to make Pork Dinuguan Ilonggo Style. In a deep pot, heat and add cooking oil. Add and saute ginger, garlic, onions until caramelized. Add pork and lemongrass and stir. Cook until pork turn brown on the edges. Pour water, cover pot and bring to boil until pork is very tender. Remove cover, add vinegar and simmer in medium heat. Do not cover the pot while you are simmering with vinegar. Season with sugar, salt and ground pepper to taste. When the pork is tender pour in blood, stir and simmer. Add the chili peppers, cover over medium low heat, stirring for about 10 minutes. Taste test if more salt and pepper is needed. Remove from heat and serve hot over steamed rice or puto or pandesal. Enjoy!